Before that, let’s look at some of the main reasons why these energy saving robotic appliances are so necessary. Energy saving robotic appliances demand is increasing each year. As we fill our homes with tech, we face the risk of running multiple devices at the same time. Using many appliances all at once can add up to high energy usage. Therefore, it helps to use energy saving models where possible. These energy saving models can then help homeowners to cut the costs of their energy bills – not just the time spent cleaning. Artificial Intelligent devices can monitor themselves and shut down when not being used and their convenience is a great start. These greener devices are also critical when trying to improve our carbon footprints. Every small step to reducing energy consumption helps in the long term. Auto-shutoff is a popular energy saving tool with some big household appliances. We can program washing machines, dishwashers and coffee machines to turn themselves off after a period of inactivity. For example is Aquabot Pool Rover, this robotic pool cleaner has a 2-hour auto shutoff. In fact, the latest robotic cleaners cost only 5 cents per hour because they operate on only 100-200 watts – about the same as a single light bulb! Another example, a homeowner can leave the washing machine to finish a load while they go grocery shopping. They can return to find clean clothes, but also that the machine is now off and not wasting energy. The same is true for that multitasking while brewing a coffee first thing in the morning. This is a great way to save energy within the home. Energy usage in the home is as much about the power wasted as the power used. Ideally, our appliances will only use power when they start up and run through their designated programs. This is all we require of them, so any other energy use is a waste. The problem is that this isn’t always a guarantee. It is far to easy to leave machines switched on. We can’t always run to them as soon as they finish. How can smart devices help here? Smart devices and robots can help to eliminate this issue further. They are more likely to have those clever functions where they shut off when not in use. They turn on when asked, or when scheduled, perform their task, and switch back off again. We can see this with all kinds of systems, from heating systems via smart thermostats to robotic devices and cleaners. A great new device that can help with standby power it the iDevices smart plug. This acts as a middleman between the outlet and device. It cuts power between the outlet and device when not in use, without human interaction. This can significantly reduce energy usage in the home. Then there are the LED bulbs, such as those in the Phillps Hue collection. These bulbs have been around for a while now, with many developments across the line. 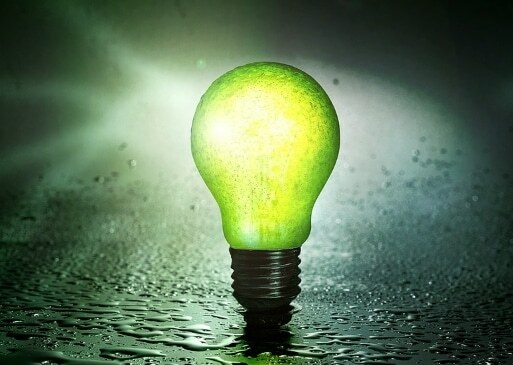 Lighting is a key area of energy use where users can save a lot of money. These bulbs link up to home hubs for the right level of illumination at the right time. Many of these new smart devices help to save energy via their battery-powered solutions. There are a lot more battery operated machines in the home now. Many of these robotic devices have the mobility and ease of use to run without being plugged into the wall. 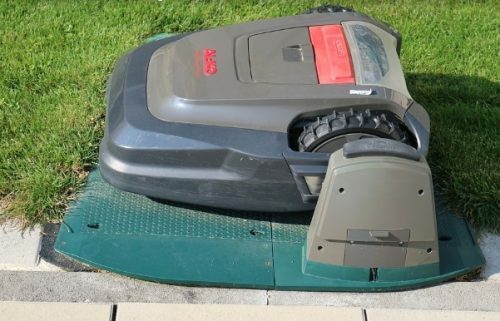 Robot vacuum cleaners have internal batteries that provide the power needed to complete their task. Most are then smart enough to return to their charging dock when needed. These batteries are improving all the time. Nanotechnology and improvements in AI mean that the devices can shrink in size, but gain power and performance. Small, highly powerful batteries allow these devices to run for longer periods without having to recharge using wallplug. The smart AI means that the devices are better able to make use of that battery life with improved functionality. Robotic pool cleaners, lawn mowers, or vacuums like the Roomba are a great example of this ongoing development in battery life and tech. There are many models on the market, with new improvements in each generation. Many users focus on the increased abilities to map out whole floors and miss obstacles. This ability to clean the whole floor is largely due to improved batteries. These small, power components allow for harder-working, smarter bots with greater potential. A switch to battery power has other benefits for saving energy in the home. One of the big problems with energy use in the home is phantom power. This is the energy that runs from an outlet to a device without any purpose. We should turn off all appliances at the source to save the most energy. This eliminates this risk of phantom power. Still, many people fail to do this. They turn off the television with a remote but don’t use the switch at the wall outlet. The combination of devices on standby leads to an excessive amount of wasted energy within the home. the benefit of smart thermostats and smart meters. 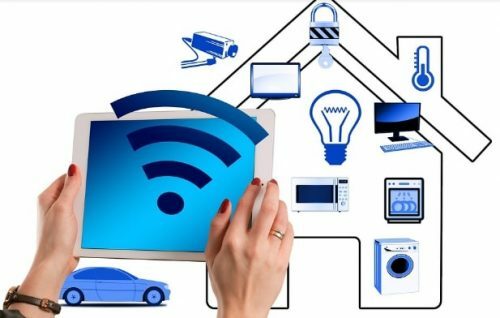 We see a switch towards a home where appliances talk to each other through wireless connections and run on battery power. This means far less need for main electricity outlets and more efficient use of power. The devices all work together to create the perfect environment and schedule within a home. They can tell each other when to turn on and when to shut down. There is a desire for robotic cleaning tools and smart kitchen devices that connect via Wi-Fi and phone controls. Smart AI, useful apps, and user-friendly tech combine to improve the smooth running of the home. The dream is still having a robotic the robot butler/maid, but that is still a dream. The Roomba and other robotic cleaning devices are a good start. Modern home robots and home hubs combine to make this more of a reality. With time, those super-smart robot helpers will exist. There is also no doubt that these improvements to battery lives and other energy-saving techs will play their part here too. Smart thermostats and controls for other systems within the home are a great starting point. They allow users better control over their heating and cooling systems. This means a more energy efficient solution and lower energy bills. Smart meters linked up to these devices and apps then give users a greater idea of their savings, and areas where they can improve. Heating the home is a major source of energy usage, but also wasted energy. 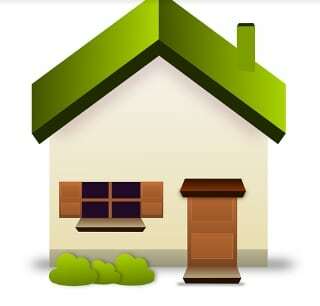 This is an important place to start if the homeowner wants to improve energy use at home. Smart thermostats have proved to be helpful in countless homes. They monitor schedules, habits, and energy saving routines. This helps users save money on heating, and energy more generally. The Nest remains one of the leading examples. Then there is the option of a smart energy monitoring system for the home. A prime example here is CURB. This connects up to the breaker panel to analyze energy use across the home in a clear, understandable manner. The data shows clear areas where users can make important changes with other energy saving robotic appliances. We can’t look at the potential of saving energy with home appliances and devices without considering the role of solar power in these devices. Reliance on grid-based energy is another issue in creating an energy-saving home with green credentials. It is easy to lose track of how much energy we use when it flows in from the national grid. Even the power grid itself has had to make adaptations to improve energy use. US utility engineers now use synchrophasors to balance loads and improve the performance. The obvious solution here is to link battery charging in smart devices with solar power generation. More and more homes now use solar systems with battery packs for personal power generation. This means a more controlled, environmental approach to a more energy efficient home. The smart systems can then feed off that battery power. The more homeowners can reduce their power usage via these systems, the less they need to save. Then what about a solar powered robot? Eventually, homeowners may be able to shorten the chain even further. There is the potential for solar-powered robots and other gadgets. This means a renewable, cheap source of energy straight to the device. It cuts out the national grid, but also any issues monitoring mains outlets. This is tricky with indoor devices like maids. Remote charging docks with solar panels is a starting point. There are also some outdoor solar devices that highlight the potential here. The solar-powered robot may be a long way off, but we do have solar powered robotic pool cleaners. These tools make use of small panels and solar energy as they work to scrub the pool surfaces or scoop up leaves. Smart sprinkler systems could also benefit from solar power. The Rachio smart sprinkler already reads weather data and waters gardens on a more optimized schedule. Solar power capabilities could improve it further. There are lots of ways to use energy saving robotic appliances and other smart devices to cut costs in the home. There are lots of small steps that homeowners can take to improve their energy use via smart devices. However, home hubs, thermostats, and smart readers are just the start. The interconnectivity of all these battery-powered devices lessens reliance on the grid. Additional tools for power saving in lighting, outlets, and heating help further. Developments in batteries, capabilities and solar power generation can increase their potential further. There is a lot to gain here, with many more developments still to come.